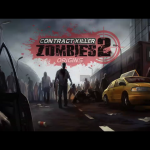 Zombies Everywhere! Augmented Reality Apocalypse v2 (Halloween 2013 Edition!) ($0.99) by Useless Creations Pty Ltd is a fascinating game that uses your environment as the background. An augmented reality game turns on your rear-facing camera and adds images on the screen for you to interact with. 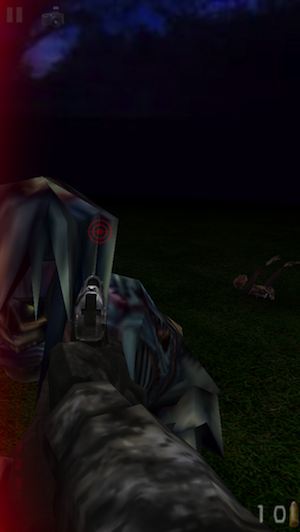 In this particular game, you shoot zombies that crawl out of the floor, walls, or furniture. To shoot the zombies, you only have to tap on the screen. You aim by moving the iDevice. When your weapon runs out of ammo, you swipe up to reload. 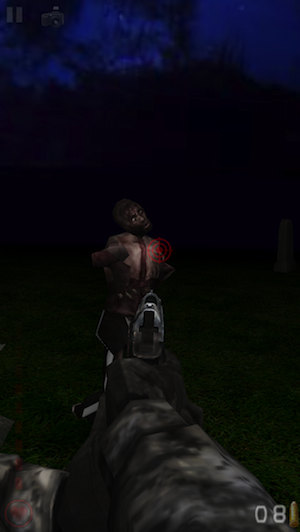 Zombies will drop additional guns and ammo that you can pick up. There are a few ways to play this game. The first is to play in what the game calls the “real environment.” This is the mode where your iDevice’s rear camera is activated. You can see the room in front of you through the screen, and the app adds zombies for you to fight. 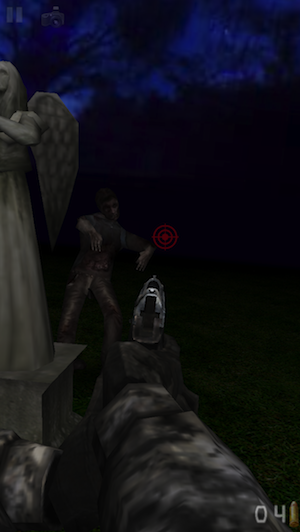 If you’re at a restaurant or a real graveyard, you can watch zombies crawl onto the screen. I, however, have a house that is recovering from a recent vacation. I would rather not see the mounds of clothes all over my floor while I play the game. There’s an option to play the game without turning on the camera. 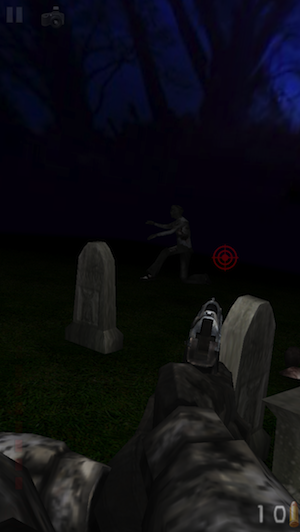 The app supplies a cemetery background that the zombies come from. You can also play in safe mode. 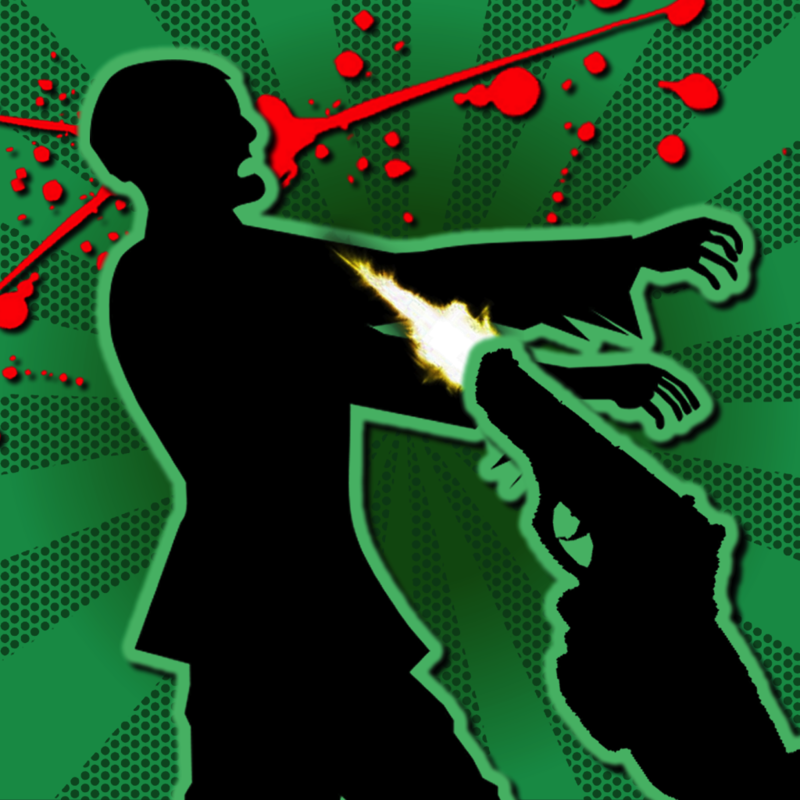 This mode allows you to attack zombies without being hurt. That sounds lame, but this is the ideal mode for taking a look at all of the different zombies. It’s hard to appreciate the gruesome detail if you’re too busy aiming for head shots. You can choose to play this mode in the real environment or the cemetery as well. I love augmented reality games. 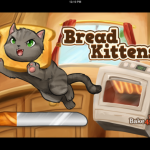 It amazing to interact with your environment through your iDevice screen. This lets you get really creative about where you decide to play this game. Places like a grocery store, parks, or a field are suddenly battlegrounds for your survival. I also think it’s cool when different features of an iDevice like a game and the camera are combined to make an awesome app. It shows imagination and creativity. 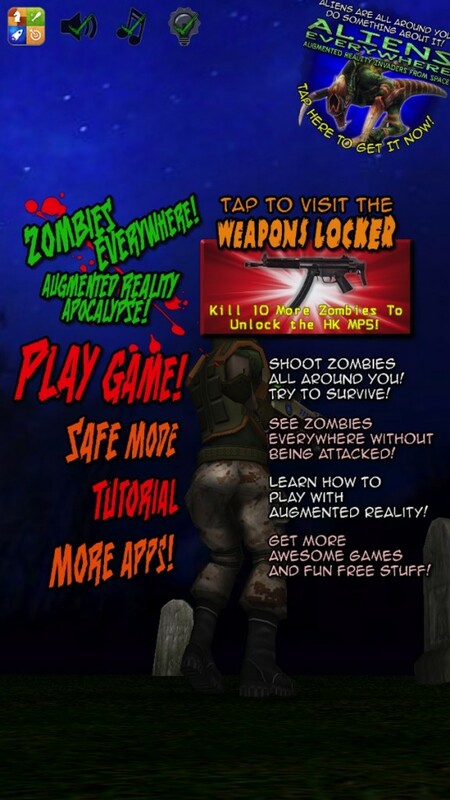 Zombies Everywhere Augmented Reality Apocalypse is a universal app, and it’s available in the App Store for $0.99.